Hourly rate for webmaster services. Pre-purchase webmaster services below, every unit purchased equates to one hour. 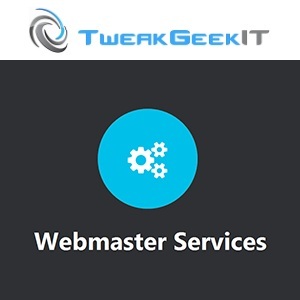 Host your website with Tweak Geek IT and save $25 per hour on webmaster services! So what are you waiting for? Make the move to Tweak Geek IT website hosting now! *File & Database backups are dependent on your hosting servers capabilities. Alternatively backups can be created via FTP downloads or stored on an offline server managed by Tweak Geek IT for an addition cost dependent on storage requirements and available on request.